Before you close your account, make sure to withdraw any money from your PayPal balance. You can transfer money electronically to your bank account or ask to send a check. You can't close your account if there are limitations, unresolved issues, or a balance. Click Close your account under "Account options." 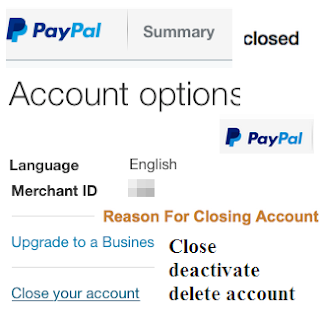 How to Close PayPal Credit Account? If you’d like to close your account, please call Paypal Customer Service at 866-528-3733 Mon-Fri 8:00 AM ET to 11:00 PM ET and Sat-Sun 9:00 AM ET to 9:00 PM ET. Click a statement cycle date to view transactions from that billing cycle. 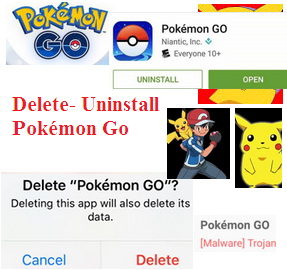 Once a cycle is selected you can download that full statement by clicking the Full Statement PDF icon on the left. Your account number will be located in the upper left hand corner of your full statement. You may not be able to remove your card if you have a Negative Balance in PayPal Account. In this situation, you must bring your balance to zero or higher to remove your card. Click + Link a card or bank. In some cases, in order to ensure you're the card owner, paypal may ask you to confirm your card. If you see a "confirm credit card" link in the card details section of your PayPal Wallet, you'll need to confirm your card before you can use it with PayPal. If you don't see this link, you can begin using your card right away.